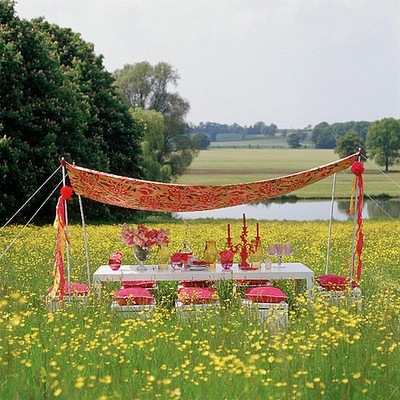 I love how this party is just out in the middle of a field. Except my allergies are punishing me for even thinking about it. 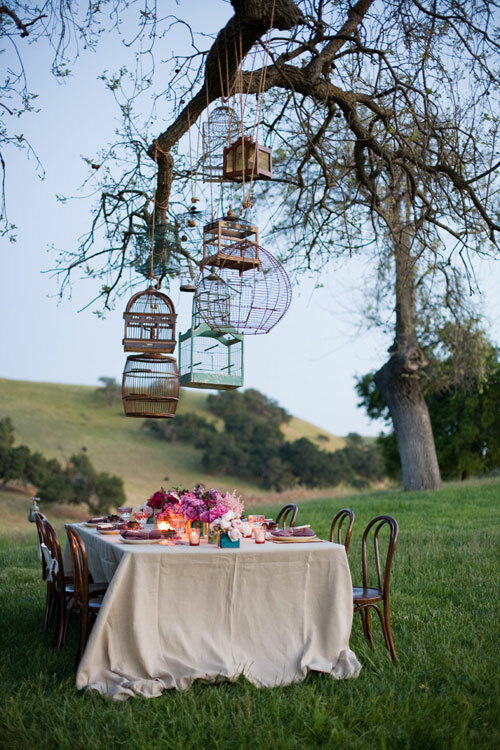 I love the bare light bulbs for an evening garden party/dinner. And the colors are perfect-o. The bird cages! I totally love it. Lots and lots. And lots. This party setting makes me think of fairies and little happy gnomes. But nice non-evil gnomes, not the creepy kind. 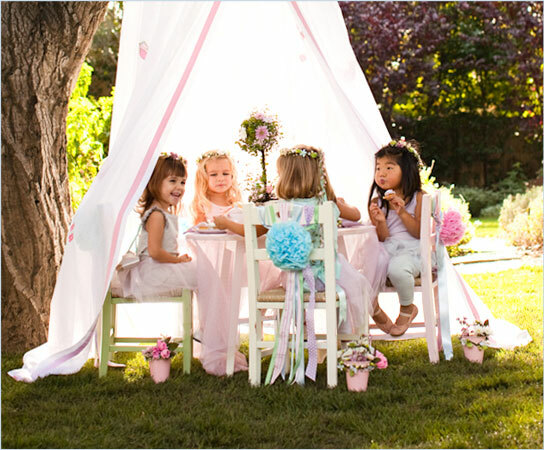 I can't think of garden parties without including the kids, and this one just looks magical. Now I just need to decide what kind of a garden party I want to have. And also I need to find a garden to have it in. Unless I can hang bird cages from the power line that goes across my backyard? Check out our Pinterest pinboards to see more of our favorite things!